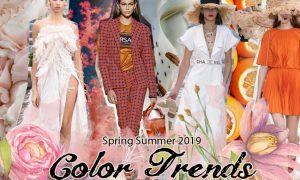 From the different types of color schemes to ideas and style inspiration for creating your own color palettes, check out our fashion color scheme basics guide below! Colors are one of the most powerful and effective elements in design. From setting moods to creating an ambiance, they can do so much. Coming from a fashion design background, I’ve learnt that colors can either make or break your outfit. And they can also be used to reflect your personality as well as convey feelings. So when it came to designing clothes, I always relied on the trusty color wheel. 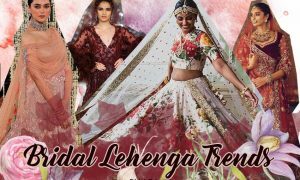 Following the basic color theory principles, I created my own variations and learnt just how important of a role colors play in fashion. 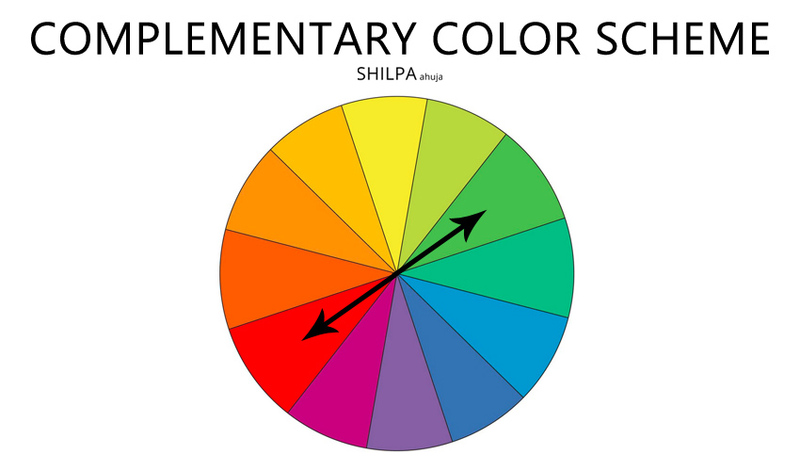 So here’s everything you need to know about color wheel schemes plus some ideas for sublime color schemes! A color scheme is a set of colors chosen for a design purpose. 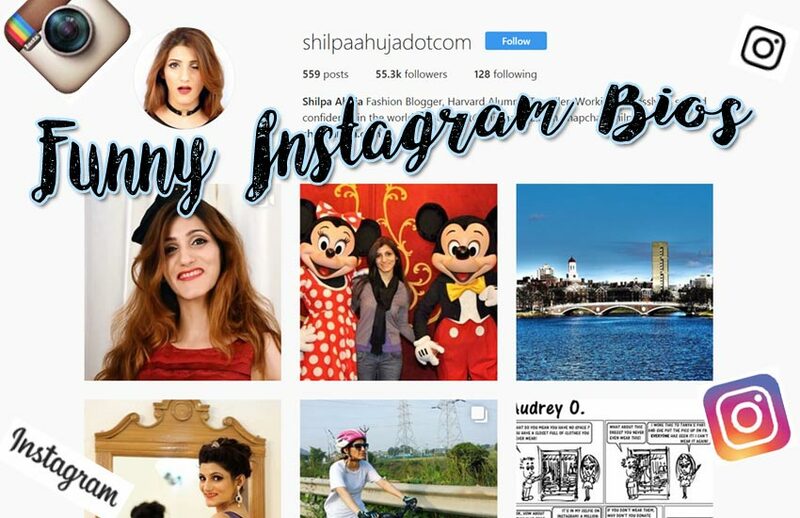 This could be for interiors, fashion, web design, makeup, weddings, etc. The colors need to be chosen carefully in order to create a visually pleasing and aesthetically appealing look. A color scheme could consist of shades of the same color, or more than one color that go well together or create a “mood”. 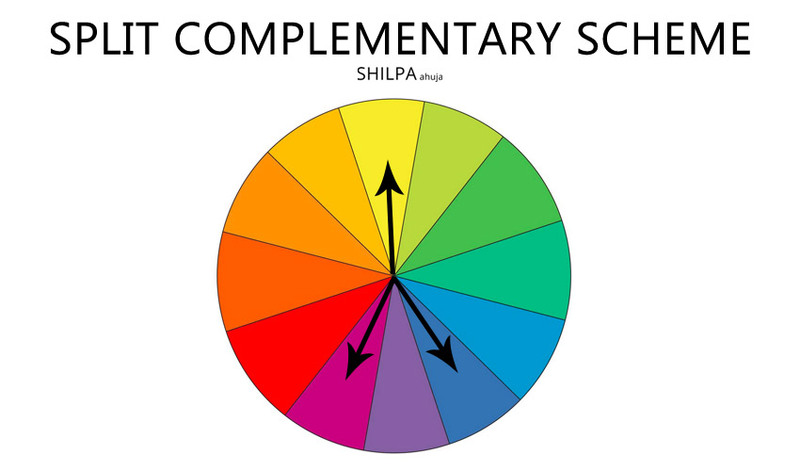 Based on the way they’re arranged on the color wheel, there are different types of color schemes that everyone needs to know. Read all about them below! Probably one of my favorite types, monochromatic color schemes are so pleasant to look at and wear! Monochromatic color schemes consist of tints (addition of white), tones (addition of gray) and shades (addition of black) of one single color. Overall, it’s very subtle and quite minimal. Also known as dominance color harmony, this color scheme comprises colors that are right next to each other on the color wheel. In this color scheme palette, one color is always dominant and brighter than the others. Analogous color schemes are a more vibrant and not-so-subtle variation of the monochromatic scheme. One example of this is blue with turquoise, the sea palette! This color scheme is created by combining two colors that are on opposite sides of the color wheel. Complementary color schemes have a powerful visual contrast and is quite bold, such as red and blue, which the American flag uses. Also called as compound color schemes, these are a variation of the complementary schemes. 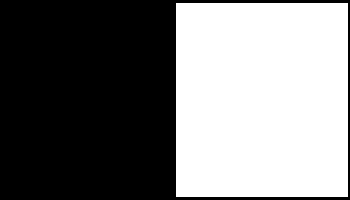 Instead of opposite colors, it uses a base color with two colors on either side of its opposite color. It’s not as bold as complementary but still impactful. For example, Taco Bell’s logo, which consists of blue, purple and yellow. 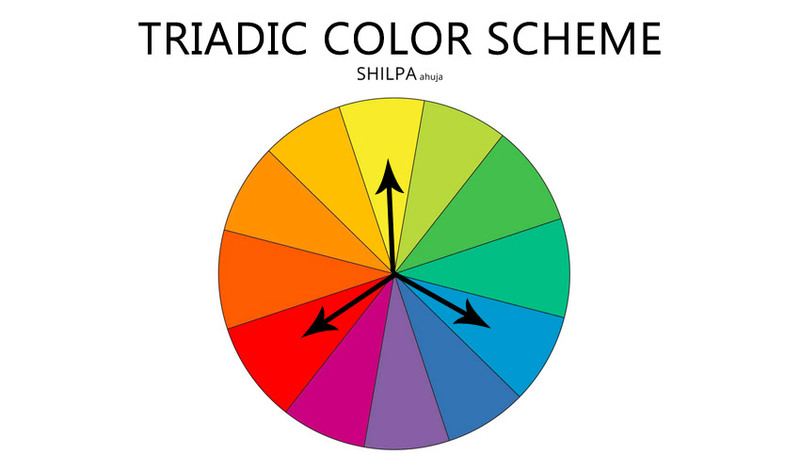 Three colors that are spaced apart equally on the color wheel form a triad color scheme. So the three colors you choose need to have three colors in between each of them. To create perfect harmony, pick the colors in a way that one dominates and the other two accent it. A good example of this is superman’s colors – red, blue and yellow. 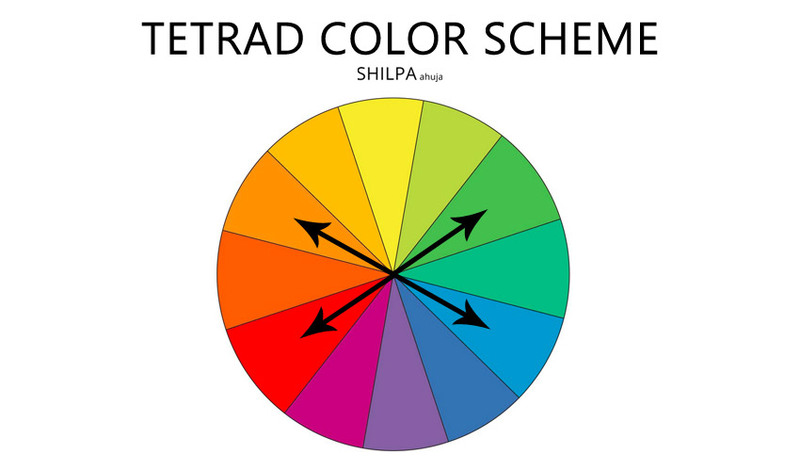 A tetrad color scheme can be of two types – rectangle and square. Rectangle color scheme is created by using two pairs of complementary colors, so, four colors in total. And a square color scheme is when four colors that are equally spaced apart on the wheel are used. For example, the Microsoft logo. Now that you know the different types of color theories, creating your very own palette is super easy! 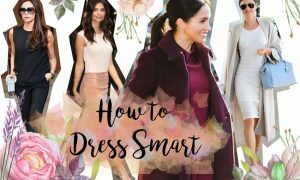 Whether you’re choosing one for your outfit or home decor, these basic philosophies remain the same. First thing you wanna keep in mind is the mood you wanna set or the atmosphere you wanna create with the colors. It could be anything from tranquility and zest to elegance and edginess. And then you choose your colors accordingly. Some tips for creating a successful color scheme is to add a neutral such as gray, black and white to make it more visually interesting. Try not to use complementary colors on their own, it can be a bit overwhelming. To tone it down, add a neutral. And when in doubt, go monochrome! It’s the safest and easiest route. 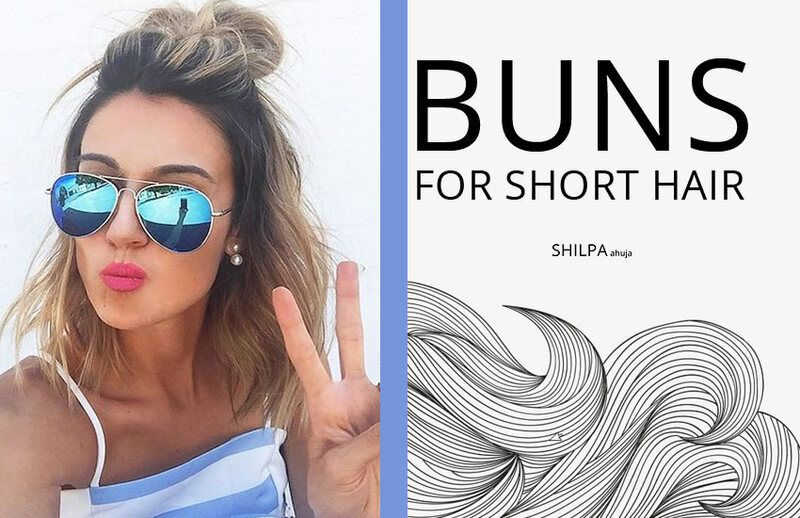 Take it from someone that spent hours together to make color palettes day in and day out! Similarly, achromatic color schemes, such as black with white, are easy to work with too. They’re great on their own but if you wanna add a li’l something, just use a pop of color, also called accent. From festive color palettes to fluorescent ones, check out some good color scheme ideas below for inspiration! Soothing colors like tints, tones and shades of green, blue and purple are all cool toned colors. When put together, the color combinations have a cooling effect. Perfect for summer outfits and bedroom color schemes! Examples include zen-inspired white with leaf green and olive, or floral-inspired lilac with bay blue or powder blue. 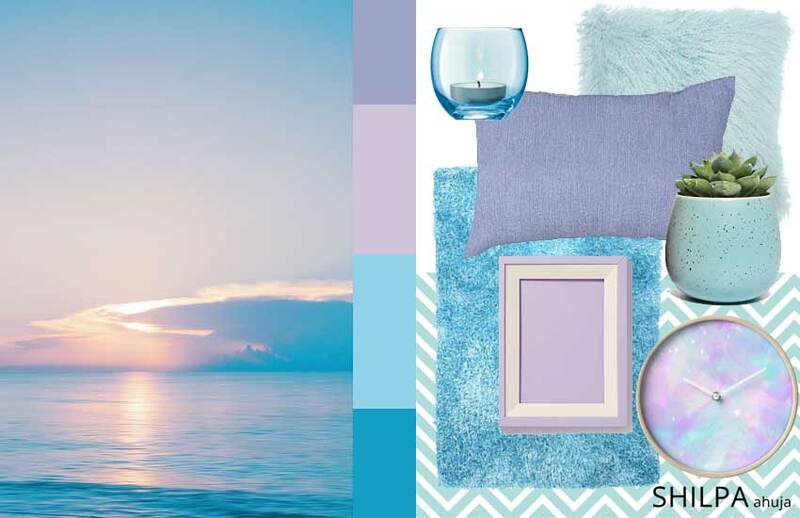 Calming colors include any light cool colors and pastels. They’re just relaxing to look at and make you feel calm overall. But don’t go too light with the color scheme or it might end up looking dull and boring. Have atleast one dominant but cool and calm color to balance it all out. Whether it’s for home decor or a beach-themed wedding, this color scheme is perfect! 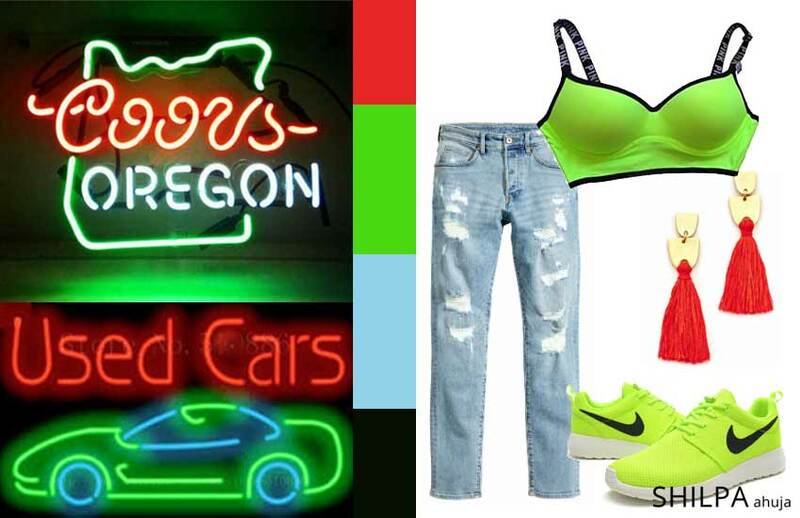 Neon colors like cyan, fuchsia and lime green bring a playful and youthful feel to any color palette. On their own, neon colors can be a bit overpowering, so add a neutral like black or white to harmonize the color scheme. Monochromatic is the best way to go with tan color schemes. Earthy shades and tints of brown and beige would work really well together. And use a cream or off-white to tone it all down. 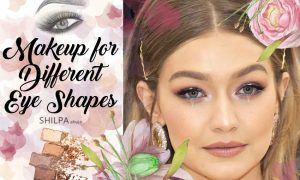 Great for fall fashion outfits and bronzy makeup looks! Everyone’s favorite time of the year is all about red, green and white. Outfits in these colors make us feel super festive but they don’t always gel together all that well. Some creative ideas include going for pastel versions of the christmassy colors or even adding black or gray. 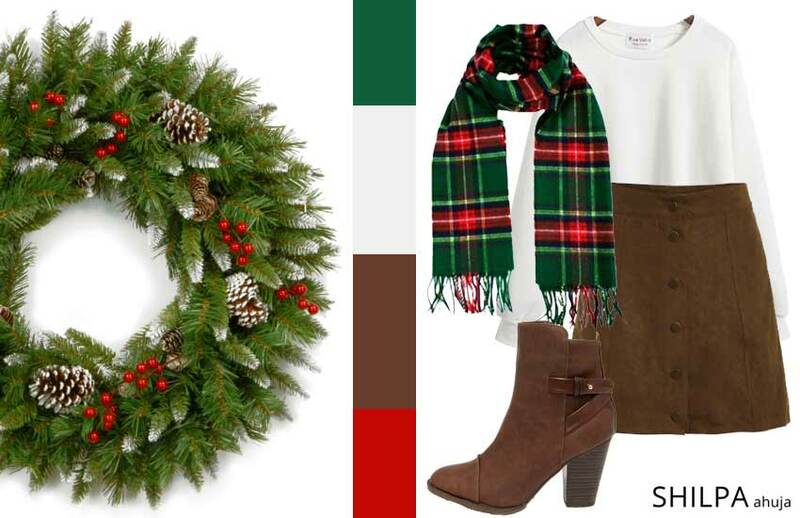 Try this color scheme for a christmas party or even the interiors of a kid’s room. Art deco was an art movement during the 1920s and consisted of geometric patterns and symmetry. It was all about bright, bold colors and metallics. 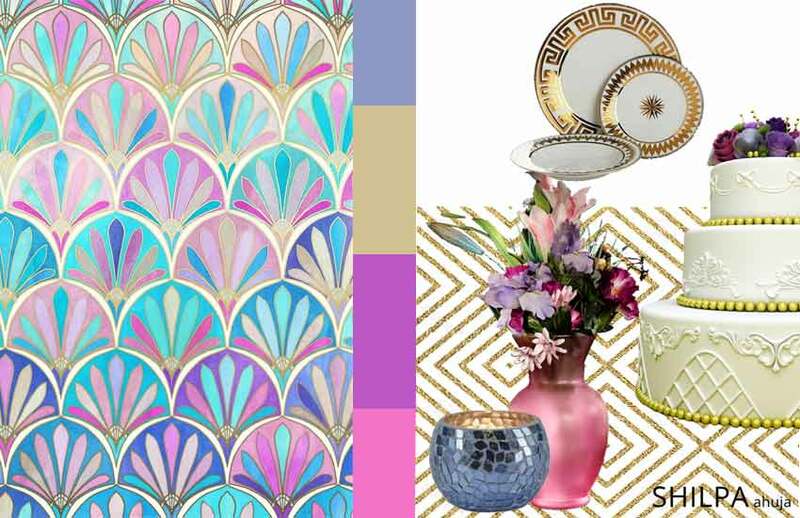 To create an art deco-inspired color palette, choose colors like peacock blue, emerald green, wine red, lemon yellow, candy pink and royal purple. Art deco also had the glitz and glam factor with metallics like copper, gold, silver, pewter and brass. 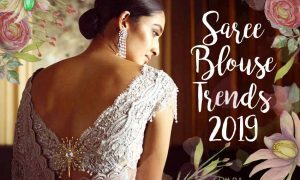 These would be great for wedding color schemes. Not many colors go with burgundy but one of the best colors that complement it is green and vice versa. This color scheme is extremely popular especially during fall. 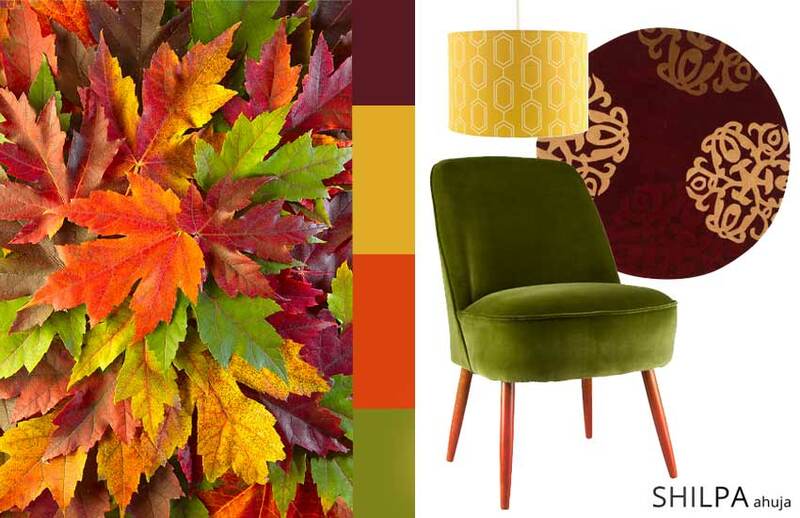 In addition to green, other autumnal shades like mustard, gold and cream work great together with burgundy. So that was our guide to color schemes, its types, variations and ideas. 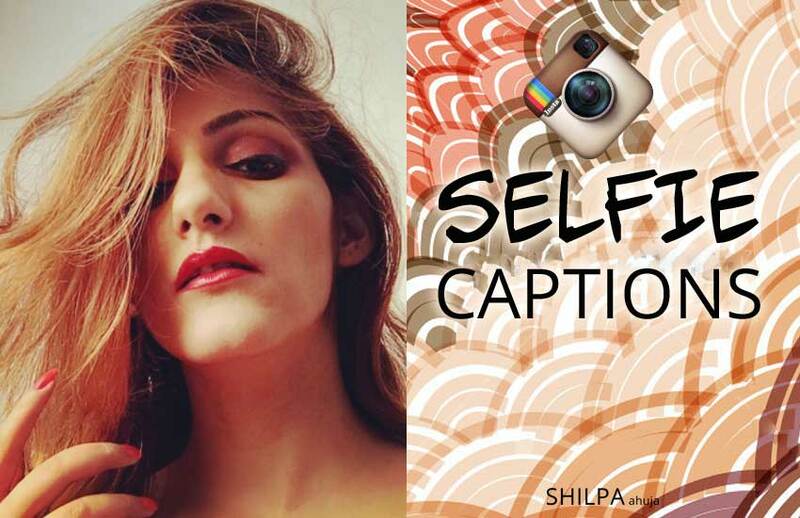 Let us know what you think by tweeting @shilpa1ahuja! 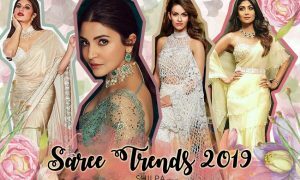 – Spring Fashion Colors You Need in Your Closet for 2018!